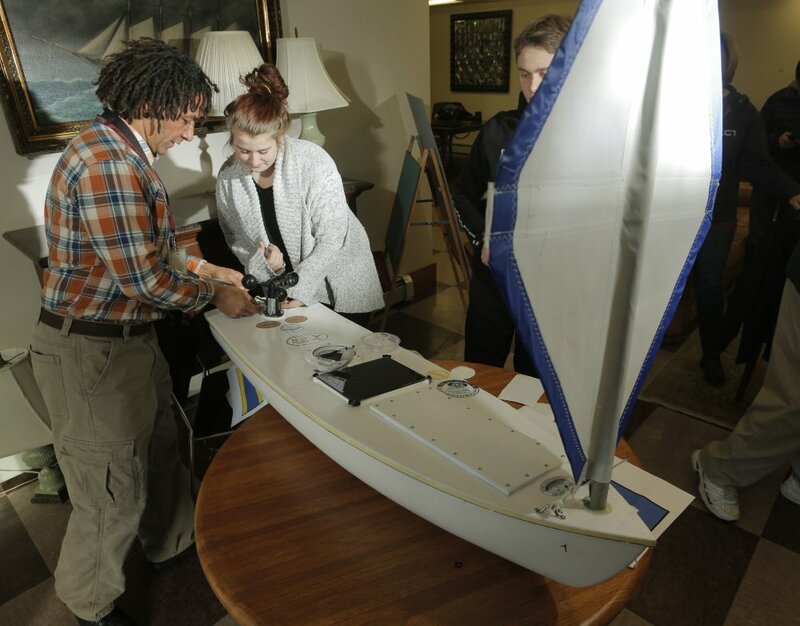 The boat was launched near Georges Bank by a fishing vessel from the Portland Fish Exchange on Dec 29th, 2016. We were surprised the boat was underway that day with a strong northeaster affecting most of the mainland. Nevertheless, her adventure is underway. 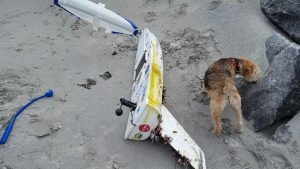 It was actually John and Angelica Dawson who first came across the boat while walking on the beach with their dog and notified Billy Sloan with the local police. After being recovered by the Scottish Coast Guard, the LilBoatThatCould was picked up by Marri Morrison, a primary school teacher from the nearby island of North Uist. 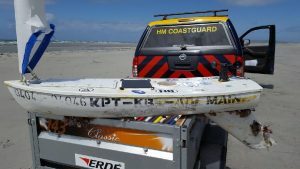 Marri has been involved with the rescue and repair of West, another miniboat that landed in Scotland in 2016 but that is another story documented here. Marri is the aunt of Ru Morrison, one the leads of the US Integrated Ocean Observing Systems. 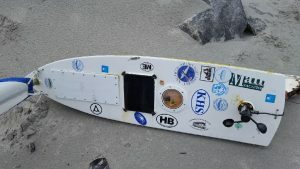 Ru happened to be headed to his homeland for summer vacation and naturally got involved with the refurbishment of the LilBoatThatCould bringing it a new transmitter and sail. 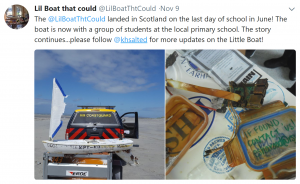 The LilBoatThatCould spent the summer of 2017 at a local museum in North Uist, Scotland. Just this month, our friend Marri Morrison brought the boat to a primary school on Benbecula (an island between North and South Uist). Excitement and interest is growing and soon the students from Kennebunk, ME will be able to connect with students in Scotland and explore the data they collected. Stay tuned! 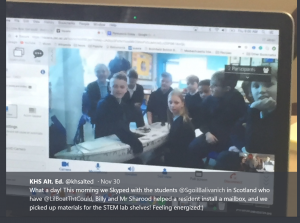 KHS students in Maine Skyped with Balivanich Primary students in Scotland on November 30.